The judge found for two states - Washington and Minnesota - which contended that the ban would cause "irreparable injury." 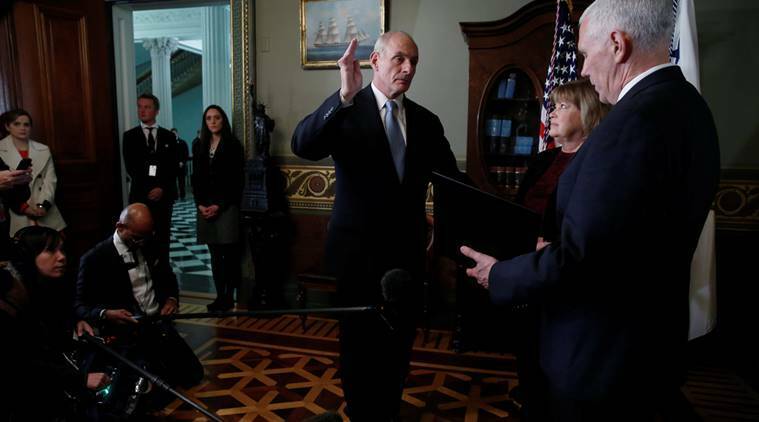 US Homeland Security Secretary John Kelly on Tuesday said that judges who blocked the White House’s immigration ban were living in an academic “vacuum” and did not see the real threat to the country. “In their world it is very academic, almost in a vacuum. In their courtrooms, they are protected by people like me,” Kelly told a hearing of the House Homeland Security Committee. “If something happens bad from letting people in, they don’t come and ask the judge about his ruling, they come to me.” Kelly was speaking after a federal judge in Seattle ordered the Homeland Security Department to halt enforcement of the ban on immigration by refugees and citizens of seven predominantly Muslim countries. The judge found for two states – Washington and Minnesota – which contended that the ban would cause “irreparable injury,” and granted a nationwide temporary restraining order suspending it. A US appeals court will hold a hearing today on the order, which President Donald Trump’s government is defending as a “lawful exercise” of presidential power and necessary to protect the country from terror attacks. He said there was no particular increase in the perceived threat level precipitating the ban, but that immigration procedures needed to be reviewed especially from the seven countries: Iran, Iraq, Libya, Somalia, Sudan, Syria and Yemen. “The ban was based on countries that we don’t have any real confidence in right now that they can help us vet people coming to the United States,” he said. “They are countries in chaos, countries in collapse,” he said. But he added that the government is particularly worried about the threat that fighters for the Islamic State group in Syria and Iraq could find their way to the United States. “It is based on the fact that we know that there are thousands of fighters coming out of the caliphate fight that have papers that could get them into Europe and then the United States,” he said.